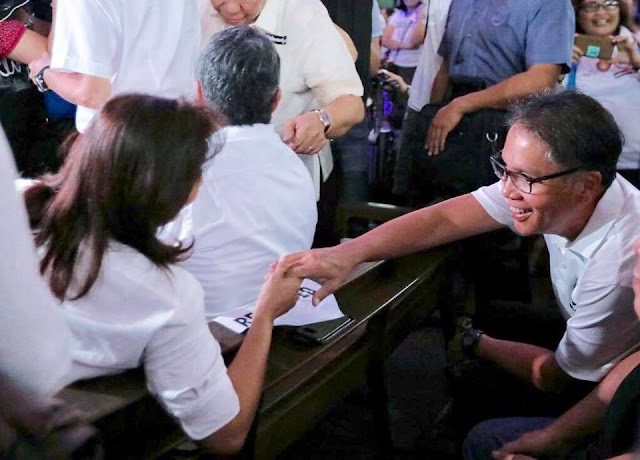 During the anti-martial law rally at the UP Diliman last September 21, Vice President Leni Robredo shared a shaking the hand of Mar Roxas, the defeated presidential candidate in the last election. VP Robredo, in her Facebook page post, said that in was a "rare moment" to see with her BFF. "He was my Batman and I was his Robin during the 2016 Presidential Campaign. We were together almost every day for 8 months. But after the campaign, he preferred to take on a more private life and I seldom saw him anymore. "Yesterday, was one of those rare moments. We were seated one row apart at the UP Chapel during the Martial Law Commemoration Mass. "After the mass, the first thing he asked me was how my daughters were. I gave him a short rundown of how each of the three was doing and casually mentioned that the two were planning to be at the Araneta Center to watch some Korean artist. Just that. "This morning, I left the house early to make the 5.5 hour travel to Atimonan,Quezon for an official engagement. When I checked my phone after my speech, there was a barrage of text messages from Jillian, informing me that Sec Mar invited them to the show they so wanted to watch and even arranged for a backstage meet and greet after. She was ecstatic!! 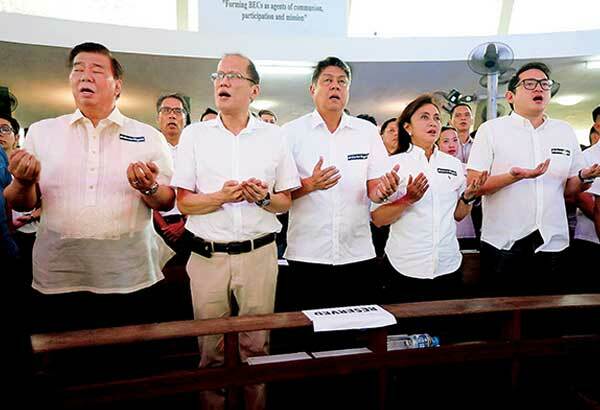 "Right after the plane crash, Sec Mar didn't leave Masbate until Jesse's body was found. After the funeral, he was constantly checking on me and the girls, making sure we were okay. "When the campaign started, he devoted more than half of his speeches introducing me because very few people knew me back then. "After the campaign, I very rarely saw him or talked to him. But, from time to time, he would ask about the girls and even send them things that they might need, as he always did. "Friends like this are rare. We are truly appreciative, Sec Mar Roxas. www.dailytopmedia.info would like to take note that this website is not manned by journalists, but they aspire to be one. Most of our writers don’t have a degree in journalism or any English major. You may encounter some mistakes in grammar but rest assured that we will do everything we can to the best of our abilities to minimize those errors.